The design and the main characteristics of the new Radiomir 1940 3 Days Automatic came directly from the 1940s but their modernity is such that the watch has an absolutely contemporary style. Subtle, light, distinguished by its essential lines and maximum clarity of reading and setting, it is a sports watch adapted to every situation. 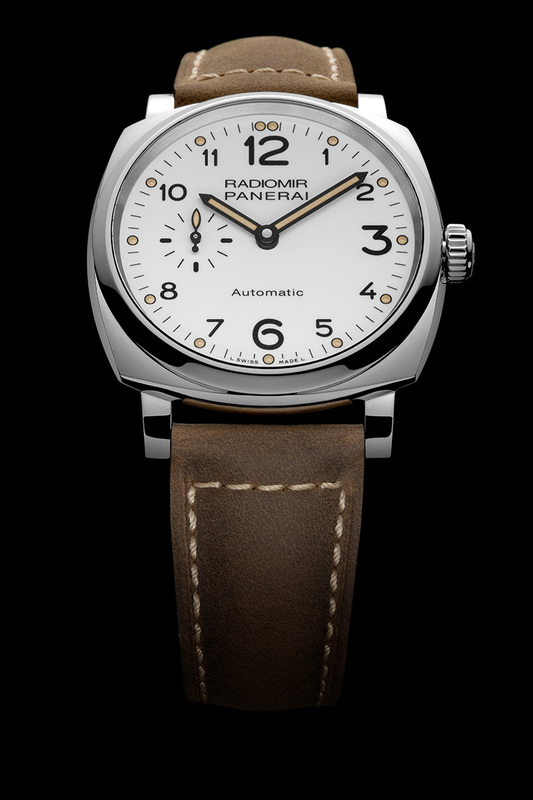 For the first time in a watch in Radiomir 1940 collection, the dial of the new Radiomir 1940 3 Days Automatic is offered in white. Its graphic design maximizes the dial’s clarity and legibility, with the large black figures corresponding to the hour markers and the small seconds dial at nine o’clock, a characteristic of Panerai watches of the 1940s. 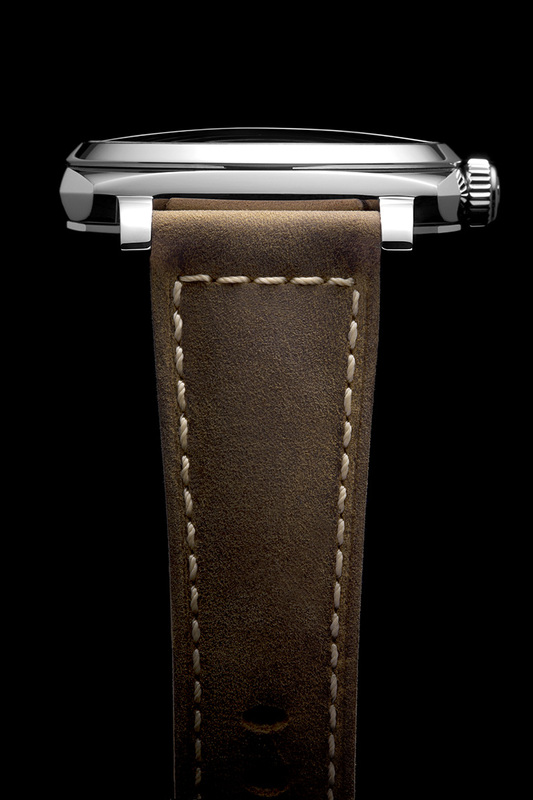 The cushion case, in AISI 316L stainless steel with polished finish, is 42 mm in diameter and only 10.93 mm thick. Its shape and proportions are those of vintage Panerai examples but the standard of its materials, finish 2 and ergonomics have been updated and perfected to meet the highest standards of contemporary high quality sports watchmaking. The crown too is of steel with a polished finish and the OP logo in relief, and it is connected to the mechanism which stops the balance as the time is adjusted, for perfect synchronization of the watch. 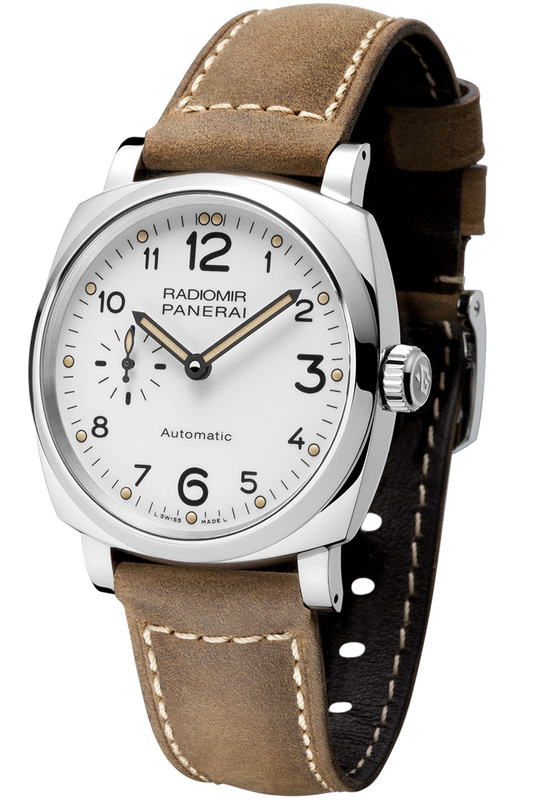 On the back of the Radiomir 1940 3 Days Automatic is a round window with a sapphire crystal through which the automatic P.4000 movement, entirely made in the Officine Panerai Manufacture in Neuchâtel, can be admired. The structure of the calibre is particularly rugged and reliable, with a wide brushed-finish plate covering the greater part of the mechanism, and the full balance bridge with twin supports which carries the balance, oscillating at a frequency of 28,800 vibrations per hour. The most fascinating element for the enthusiasts of high quality watchmaking is certainly the off-centered oscillating weight, set within the movement and thus making it possible for the calibre to be only 3.95 mm thick. 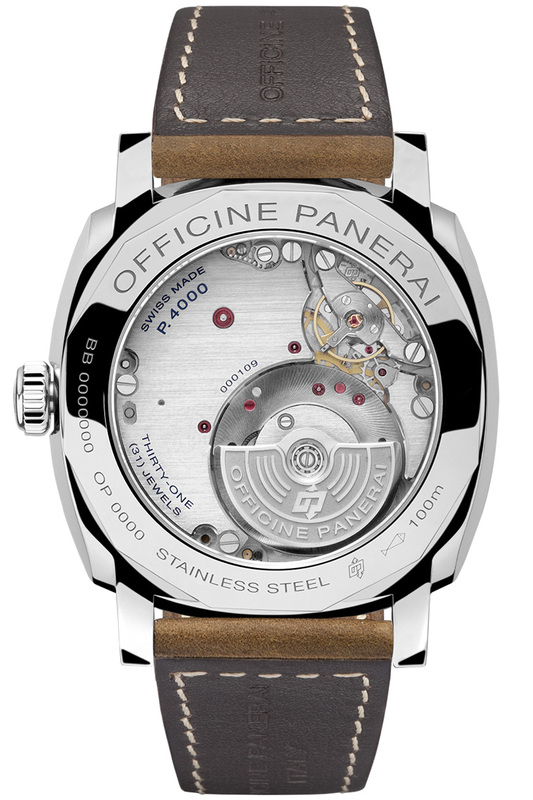 Made of tungsten, the rotor oscillates in both directions and it is connected to the two spring barrels in series which store a power reserve of up to three days, the new minimum standard for the power reserve of Panerai watches fitted with Manufacture movements. 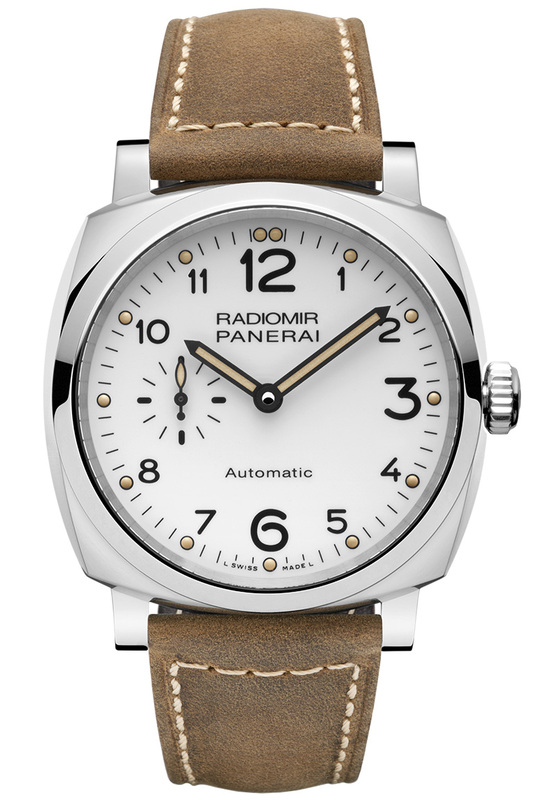 The new Radiomir 1940 3 Days Automatic (PAM00655) is water-resistant to 10 bar (a depth of about 100 meters) and it is supplied with a natural, untreated leather strap, with contrasting stitching. CASE: 42 mm, AISI 316L polished steel. DIAL: White with Arabic numerals and luminous dots markers. Seconds at 9 o’clock. WATER-RESISTANCE: 10 bar (~100 meters).